You may have enjoyed this year’s balmy winter, but it’s a cause for alarm among scientists. All across the U.S., temperatures broke all records. March 2012 was the warmest March ever recorded — and records go back to 1895. The first quarter of the year was also the warmest, and the period between April 2011 and March 2012 was the warmest 12-month stretch on record. Across the country, there were 7,775 new daytime highs. Temperatures in the U.S. have already risen more than 2 F in the last century, and like the price of gas, they’re still going up. In fact, they’re expected to climb another 1-2 F by 2020. Still think climate change is a myth? What does this warming spell bode for your health? 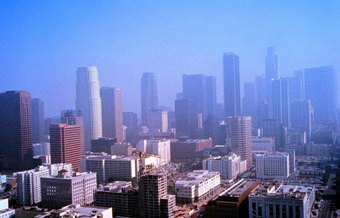 Get ready for some bad air days, the experts warn. By 2020, said the Union of Concerned Scientists in a report released last year, rising temperatures will cause higher ground-level concentrations of ozone that could lead to 2.8 million more occurrences of acute respiratory symptoms, such as asthma attacks, shortness of breath, coughing, wheezing and chest tightness. And that’s not just in people with respiratory problems. Ozone is a colorless gas found in the air we breathe. Where it occurs determines whether it’s good or bad. It’s good when it’s in the Earth’s upper atmosphere (anywhere from 10-30 miles from the surface), shielding us from the sun’s harmful ultraviolet rays. But when it’s near the ground, it’s a result of air pollutants from vehicle exhaust and power/chemical plants interacting in the presence (and heat) of sunlight. This earthbound type of ozone — the main component of smog — can irritate your respiratory system, make it difficult to breathe deeply (particularly when you exercise), inflame and damage the cells that line your lungs, aggravate asthma and other lung diseases (e.g., emphysema and chronic bronchitis), and make you more susceptible to respiratory infections. You can even experience severe chest pain. How common is it? Unfortunately, these days, it’s as much a part of summer as the ice-cream man. Children, the elderly, and people with chronic lung conditions are most susceptible to health problems from ozone exposure, though even healthy people can experience upper respiratory problems and even permanent lung damage as a result of breathing in ozone. Pay close attention to ozone alerts if you have chronic respiratory problems, small children or older relatives, or if you are older yourself. Now, along with temperatures and precipitation, your local meteorologist includes ozone levels as well as pollen and other pollutants in the forecast as part of the Air Quality Index (AQI). If the ozone is high, limit the time you and your family spend outdoors. Stay inside with the air-conditioning. If you don’t have AC, go somewhere that does. Window fans can keep you cool, but they can also draw ozone inside. If you need to be outside — for yard work, for example, or to exercise — do it early in the morning or in the evening when ozone levels are usually lower. If you usually jog or play tennis, pick a less intense activity during high-ozone periods. Walk rather than run, for instance. “When you’re exercising, you’re inhaling more air per minute than if you’re just sitting,” says Hanania. Forget masks. Ozone is a gas, and it will pass through even the finest filter. Get your own personal ozone alert. EnviroFlash is a free service that alerts you when ozone is approaching dangerous levels. Sign up here. Denise Foley is a veteran health writer, the former deputy editor and editor at large of Prevention, and co-author of four books on women’s health and parenting. Very nice post. I just stumbled upon your blog and wished to say that I have really enjoyed browsing your blog posts. In any case I抣l be subscribing to your feed and I hope you write again soon! I am also concerned about the sudden climate changes that happens to our planet. Thank you for posting this. All of us do deserve to breathe clean air.